A bathroom vanity can be completed with a sink and a mirror. Although a small mirror is enough, you should consider the right mirror design and size for a bathroom with a double vanity. 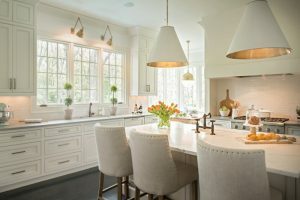 A big bathroom usually has a double vanity that complete the bathroom needs and it can be more functional because it may have more vanity features. 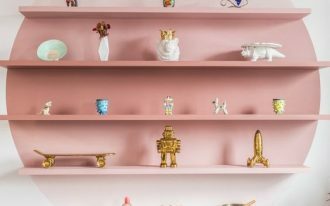 It may feature a double sink, some storages, and a wall mirror. The double vanity wall mirror should be added in the front of the sinks. 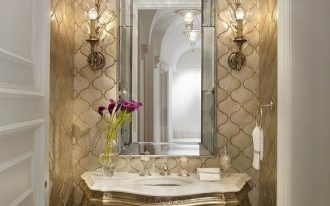 Here are some awesome double vanity wall mirror ideas that will make your bathroom vanity perfect and stylish. 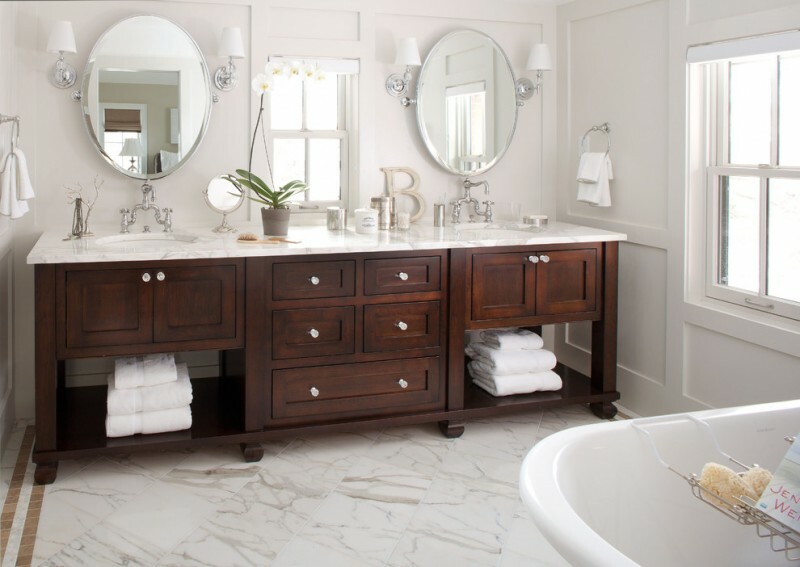 You can’t beat a vanity that’s custom made to fit your bathroom space and style. 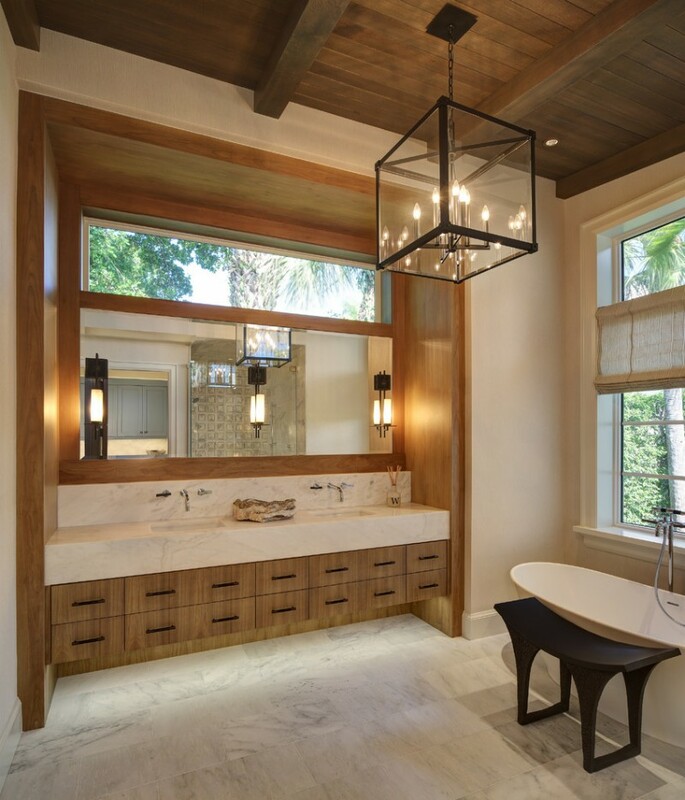 This classic wooden creation is topped with a slab of marble and two undermount sinks. 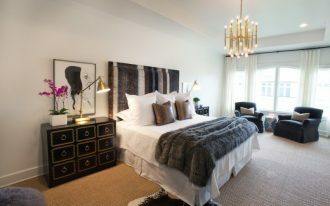 Two mirrors are provided and each mirror in the middle of the two silver wall sconces. 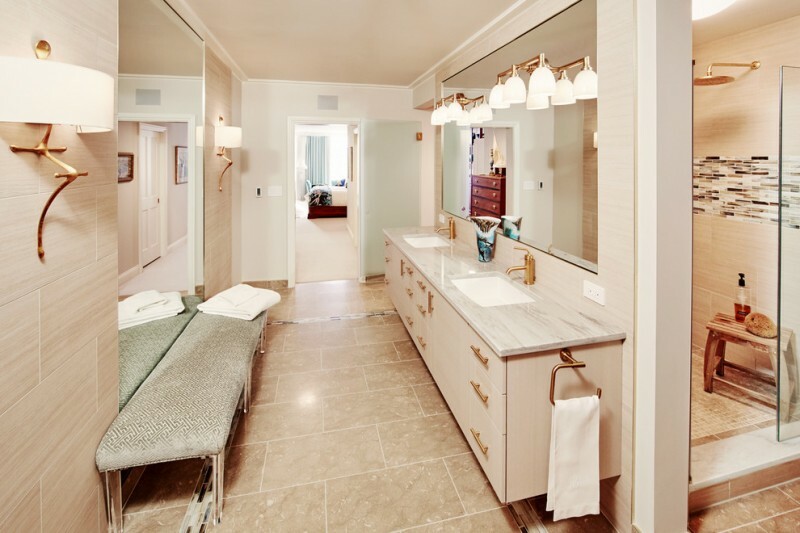 This spa-like master bathroom retreat with double sinks, a gray double vanity, aqua linen wall, a freestanding tub, and a spacious shower space. The vanity has some drawers and shelves, it also provides mirrored cabinets for more storages. This traditional style bathroom offers a cherry shaker vanity with double undermount sinks, marble countertop, a corner tub, porcelain tile, and glass walk-in shower. The vanity provides a mirror with wooden frame. 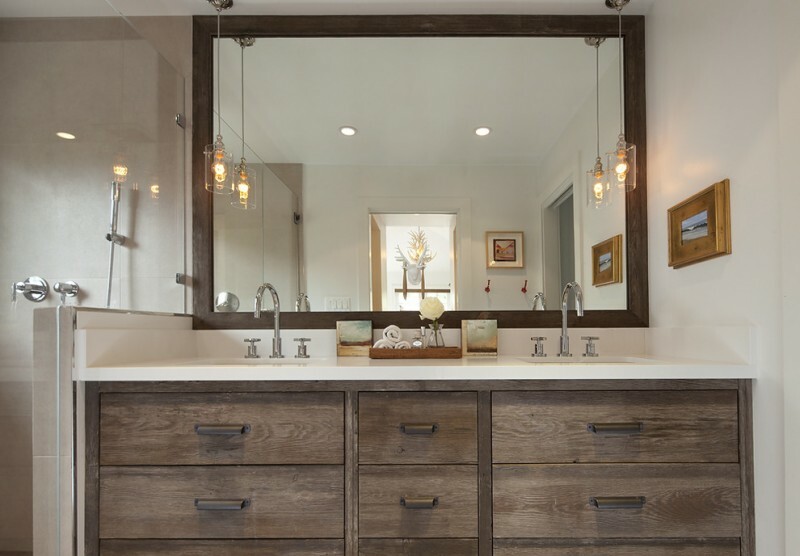 This custom vanity with reclaimed barn wood has a big wooden framed mirror, while the two glass pendant lamps decorate the mirror well. It feels so retro yet still elegant. 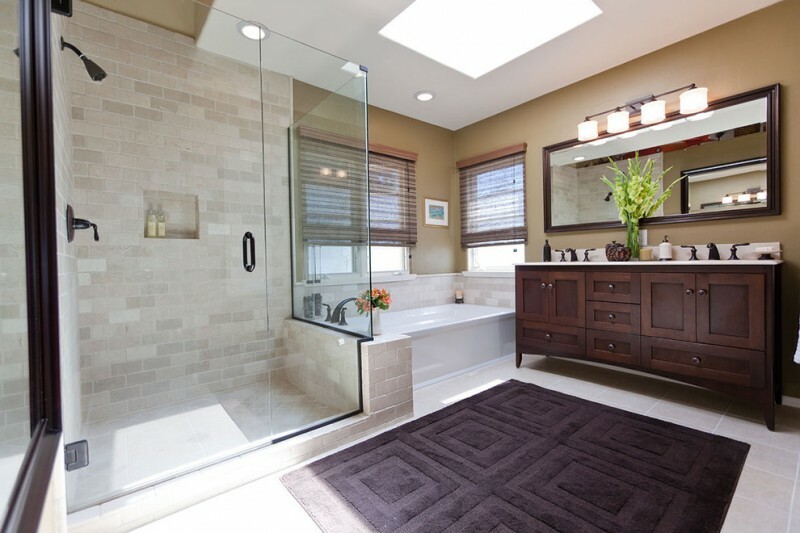 This large bathroom has many windows that will let the natural light come into the room. 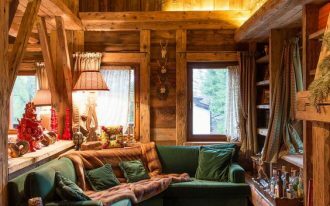 The windows near the freestanding tub can be covered with blinds. Another window is installed over the wide mirror. You can do a small renovation in your bathroom. 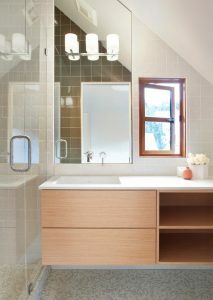 You can add a wall mounted vanity with a frameless double vanity wall mirror in the bathroom galley. The white tiles for the floor and wall will make a narrow bathroom look wider. This glamorous bathroom features a beige color scheme, a floating double vanity, a big mirror, a shower space, wall sconces, and a bench. 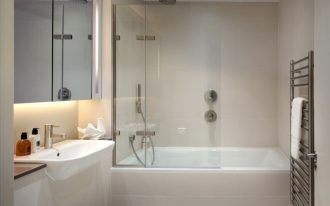 The shower space and the vanity are separated by a wall. This traditional bathroom vanity is made of wood with minimalist design. 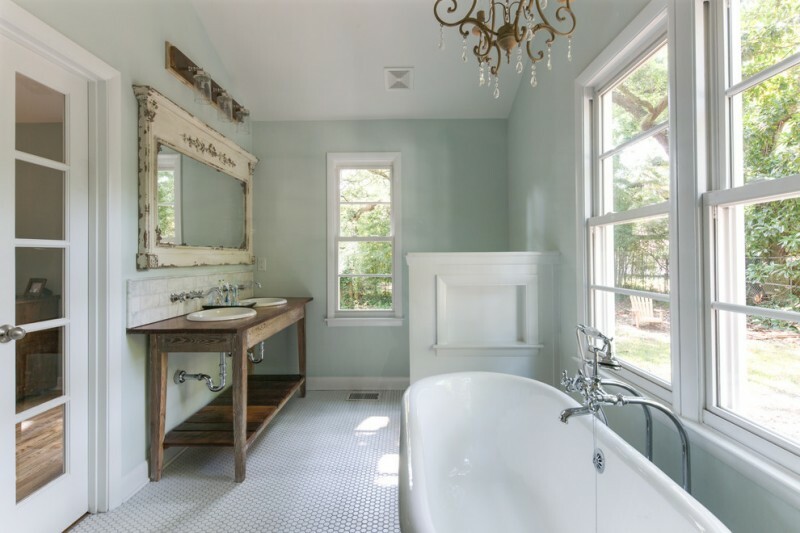 This open vanity offers round undermount sinks, a shelf, and an antique wall mirror over it. 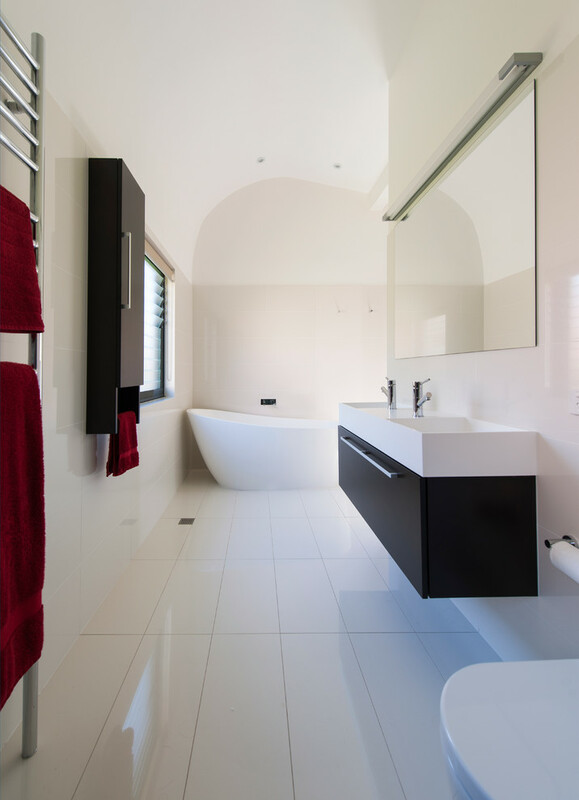 The mirror is so large that can cover the wall really well and make this bathroom look more spacious. This cherry wood double vanity is nicely topped with the black countertop. 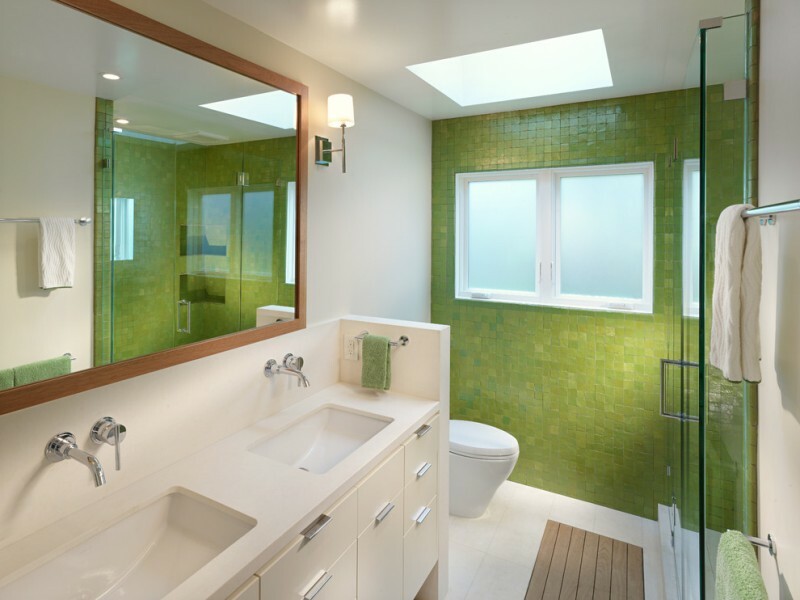 This bathroom looks so fresh with the green mosaic wall tiles, white vanity, and wooden framed mirror. This bathroom is so clean and neat that come from the minimalist bathroom features.